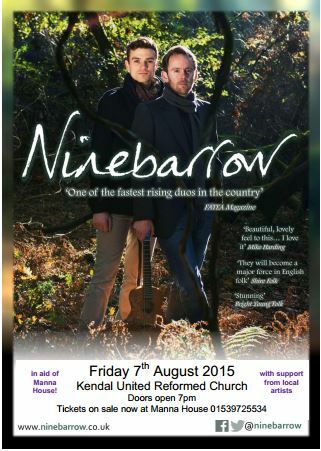 This is a folk concert not to be missed from a marvellous duo quickly gaining national attention. At this lovely venue there will be local support acts, door prizes, refreshments and a jolly fine time to be had. Please do what you can to advertise this exciting evening and order your tickets now (£10 each and available at Manna House (725534) and Pumpkin’s Bistro (728722)!